Transfer Talk: Is Denis Suarez Arsenal's answer in the January transfer window? The Transfer Talk podcast panel discuss how Barcelona midfielder Denis Suarez could fit in at Arsenal. 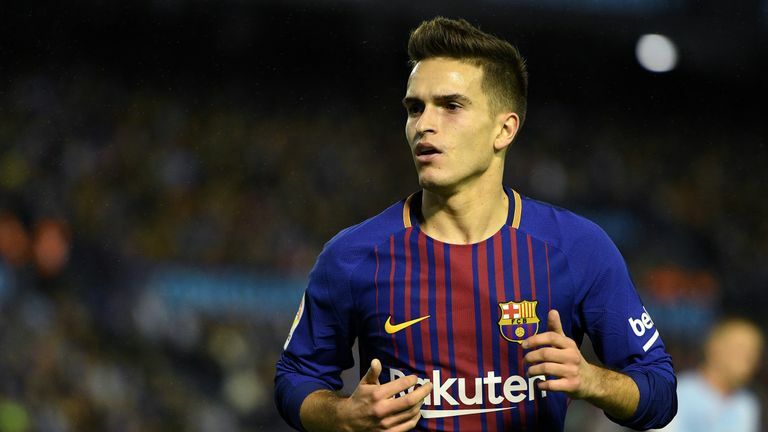 Host Michael Bridge is joined by Sky Sports News reporter Dharmesh Sheth and skysports.com features writer Pete Hall, with Arsenal's pursuit of Barcelona midfielder Denis Suarez top of the agenda. The panel analyse how Suarez could fit in at the Emirates and what role head coach Unai Emery will play in their attempts to sign him. Brahim Diaz's departure from Manchester City to Real Madrid also comes under the microscope, with the panel discussing the intriguing clause involving Manchester United. Sky in Italy journalist Ghilda Pensante phones in to chat about Chelsea target Nicolo Barella and the competition facing the Blues in their bid to sign the midfielder. There are also updates on Juventus' quest to sign Aaron Ramsey and the future of striker Gonzalo Higuain. Scottish reporter Charles Paterson joins the show from Celtic's training camp in Dubai to give the lowdown on the club's latest recruits Timothy Weah and Oliver Burke, and discusses whether manager Brendan Rodgers will be given more funds to spend this month. There is also news from Liverpool, Tottenham Southampton, Watford and West Brom as the panel wrap up the rest of the moves in the transfer market.